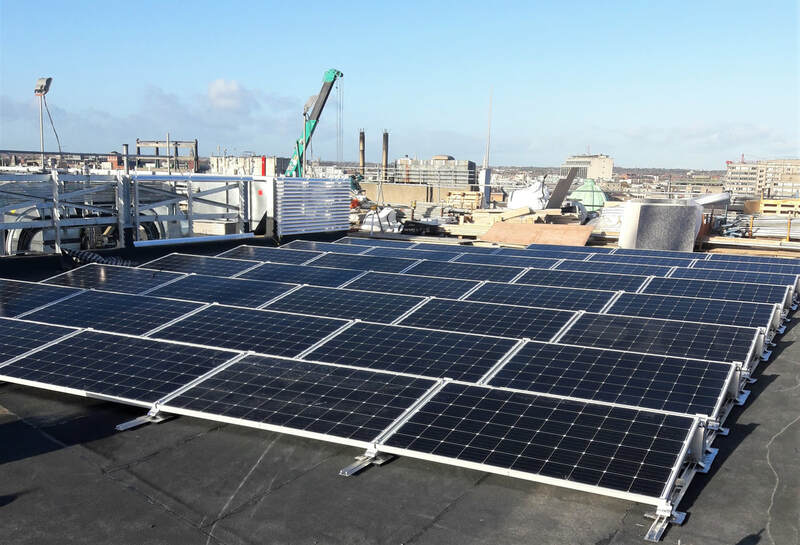 A solar PV system was required for a high-end retail and office development in Dawson Street in the heart of Dublin City. The new development was situated on the corner of Dawson Street and Molesworth Street. 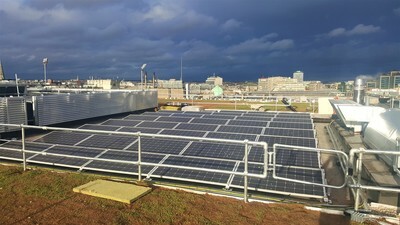 The developer had a target LEED certification of Platinum, the highest possible mark of sustainability. 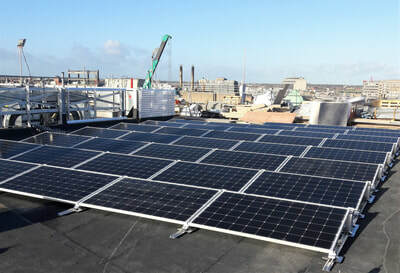 To achieve this the developer wanted to utilise the extensive flat roof for Solar PV. 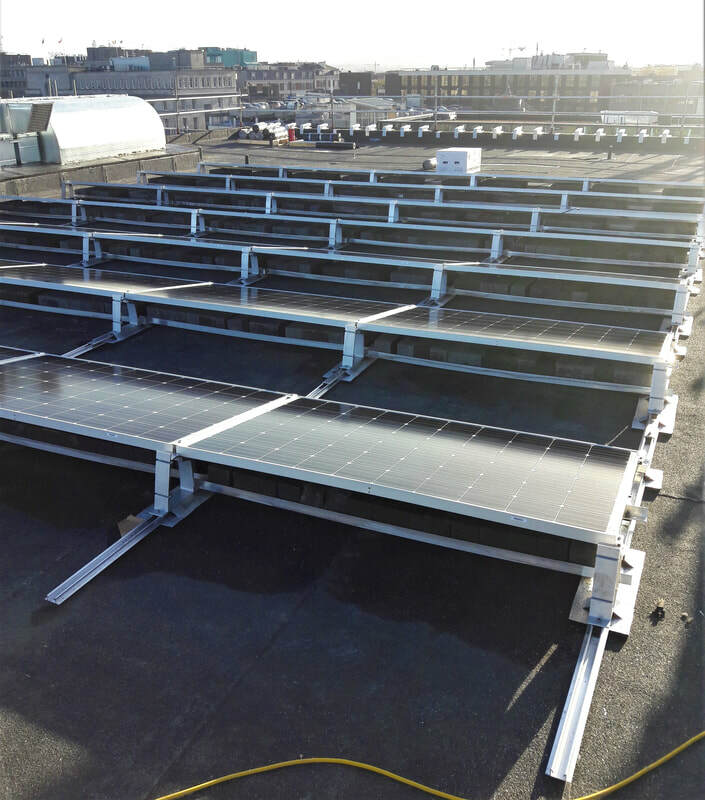 Due to the footprint and access limitations, a bespoke mounting system for the solar PV panels needed to be designed and installed. 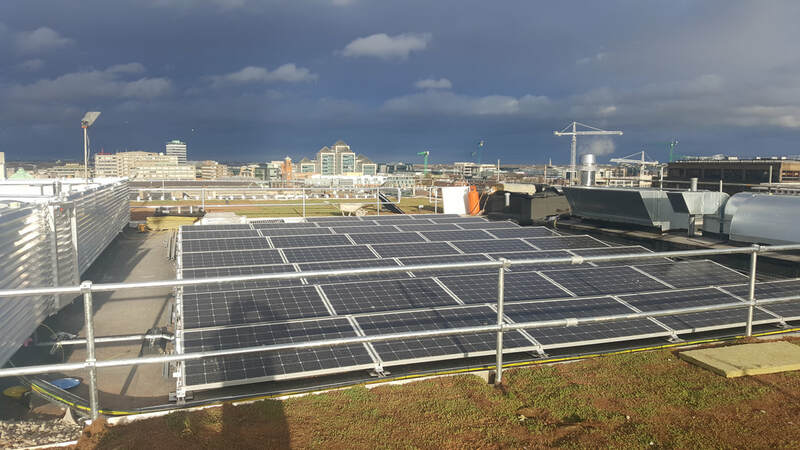 The system had to produce minimum 80 per cent of designed output after 25 years. 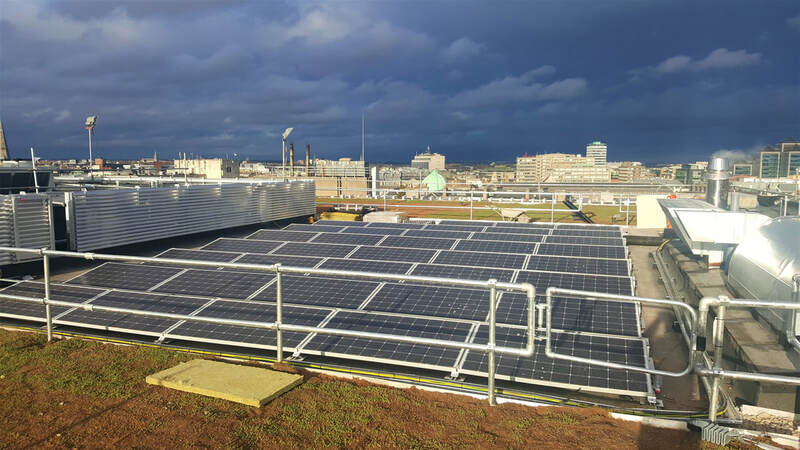 The project also required a Solar PV System with a self-ballasted mounting system. Our system had to look aesthetically pleasing, as the building had a high-end look, with green roof and penthouse terraces to match the design led façade featuring vertical glass fins, solid bronze and bronze anodised brise-soleil. CubicM3 created a bespoke system for our client, selecting a robust ballasted mounting system to avoid roof penetrations, while still being able to cope with the high winds of Dublin rooftops. Due to the tight footprint a 10deg panel pitch was selected to reduce the effect of shading on panels while still enabling the panels to self cleanse thus limiting maintenance. 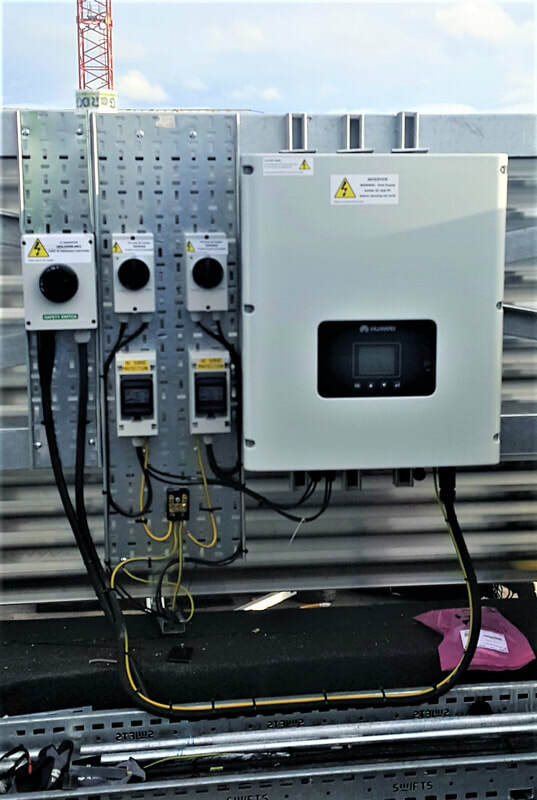 Optimized PV panels coupled with a Huawei Inverter were chosen to limit overshading by objects in close proximity to the array. 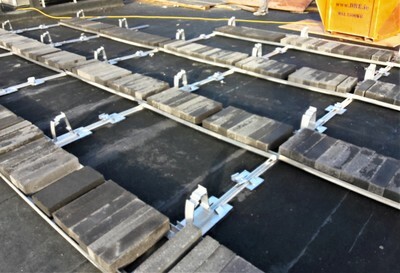 The overall System was designed, supplied and installed by CubicM3. CubicM3 provided drawings for builders works. 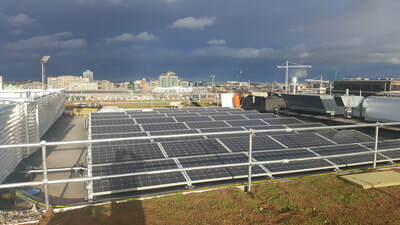 Installation was inclusive of the following: Design and installation of solar bracketry, supply of ballast material, connecting and programming inverter, connecting grid connect and liaising with ESB Networks, cable management, labeling, commissioning and training. 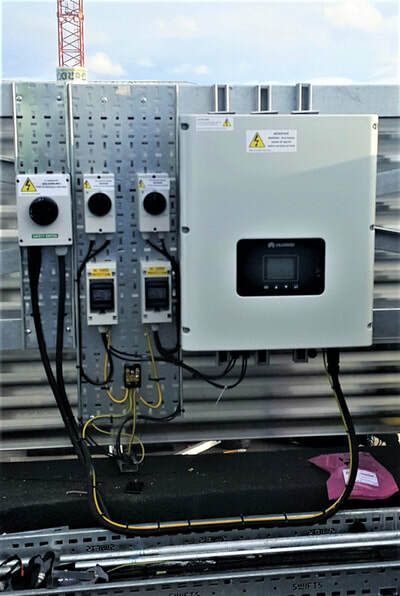 Warranties and maintenance service were also provided by CubicM3.